The funeral of Jonathan Simms, 26, will take place in Belfast today. He was one of the longest surviving victims of variant CJD, the human form of mad cow disease. 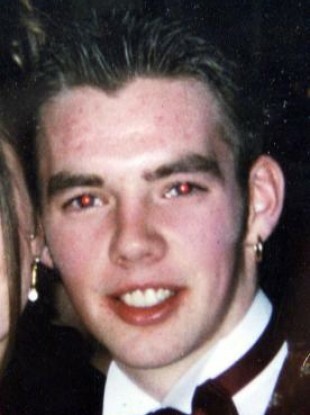 Undated picture of Jonathan Simms, 19, from West Belfast. THE FUNERAL OF of one of the longest-surviving victims of variant CJD will take place in Belfast today. Jonathan Simms, 26, from Highfield, west Belfast, was diagnosed with the disease ten years ago after first becoming ill in 2001. The prognosis for variant CJD, the human form of mad cow disease, is extremely poor and the teenager was given just months to live. Most people die within 6 months to two years after displaying symptoms of the degenerative brain condition, according to the National Center for Biotechnology Information. Creutzfeldt-Jakob Disease is an incurable condition, however Simm’s family won a court battle in 2003 to treat him with an experimental drug, pentosan polysulphate, which was injected directly into his brain to slow the onslaught of the devastating disease, reports RTÉ. The father of Jonathan, Don Simms, said that his family was “devastated” at his death, but that his son had “grown tired and was unable to fight any more”, reports the BBC. Email “Belfast man suffering from variant CJD passes away ”. Feedback on “Belfast man suffering from variant CJD passes away ”.